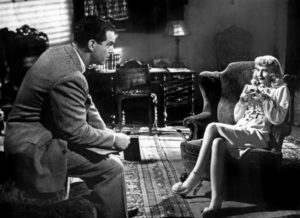 Double Indemnity is a 1944 film noir directed by Billy Wilder. In fact, for many people it constitutes the first “real” film noir made. 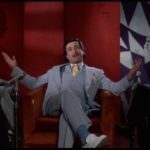 For a decade prior, both American and European films had shaped many of the aspects of film noir that we recognize today. Double Indemnity was the first film to really put them all together. The low key lighting, the femme fatale, the murder, the deranged psychology; it’s all there. 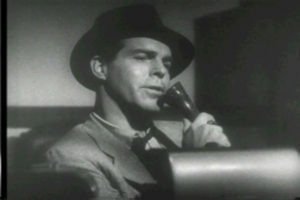 Today the film is regarded as a classic, and model example of the film noir movement. The film, based on James M. Cain’s 1943 novel, follows insurance salesman Walter Neff, and his entanglement with the alluring yet dangerous Phyllis Dietrichson. Together, they plot the murder of Phyllis’s husband so they can collect a huge accident insurance pay out and run off together. Of course, things don’t go according to plan, and the plot thickens until it reaches its frenetic conclusion. Stylistically, this is a classic film noir. The dark subject matter is matched by the low key lighting. This creates long dark shadows, that lend to the ominous atmosphere. The film is drenched in heavy grays and blacks, which creates the famous “chiaroscuro” effect. It also relies heavily on flashback. In fact, the first moments of the film come at the very end of the story, and the narrative is driven by Neff’s retelling of all the events. One particularly interesting aspect of the film is its heavy emphasis on the relationship between Barton Keyes, Neff’s boss and eventual antagonist as he tries to solve the murder of Mr. Dietrichson, and Walter Neff. While the novel was much more focused on Neff’s relationship with Phyllis, the film depicts their romance as rather cold and passionless. Instead of Phyllis, Keyes becomes the main motivator for Neff’s murderous actions. He wants to prove that he can beat the system, and that he can get away with a murder so perfect that not even Keyes could figure it out. Their buddy-buddy (bordering on familial) relationship is both intimate and competitive, and to say that there is some Oedipal undertones is an understatement. The film also features a rather unique emphasis on corporate culture. The idea of “white collar crime” was a rather new one at this point in time, and Wilder was eager to tap into the psyche of the discontented office worker. For Neff, his action is a rebellion against the system he had so long been a part of. And when the screws start tightening on the investigation of the murder, it is not the police that Neff fears. It’s not even the police that are doing the majority of the investigation. Instead, it is the insurance company that serves as the ultimate authority over Neff. It is the realm of big business that serves as the final arbiter, not the government. 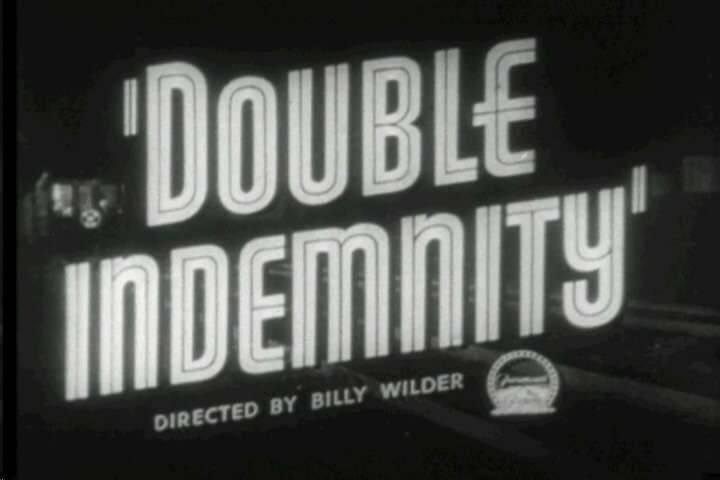 If you’re at all a fan of film noir, and you haven’t seen Double Indemnity, than you absolutely need to check it out. And if you’re a fan of detective plots, wise-talking criminals, and a certain nostalgia for a time gone by, this film is for you.